There have been lots of leaks of photos of the new Samsung Galaxy Note 7 and now we have a quick video showing off one of the handsets new features. The Galaxy Note 7 will come with an Iris Scanner, this will be used to unlock your handset and it can be seen in action in the short video below. The Note 7 will come with a 5.7 inc display with a Quad HD resolution of 2560 x1 400 pixels and the handset will be powered by the new Qualcomm Snapdragon 820 processor. The device is expected to come with 4GB of RAM and will also come with various storage options from 32GB up to 256GB, it will also feature a microSD card slot. 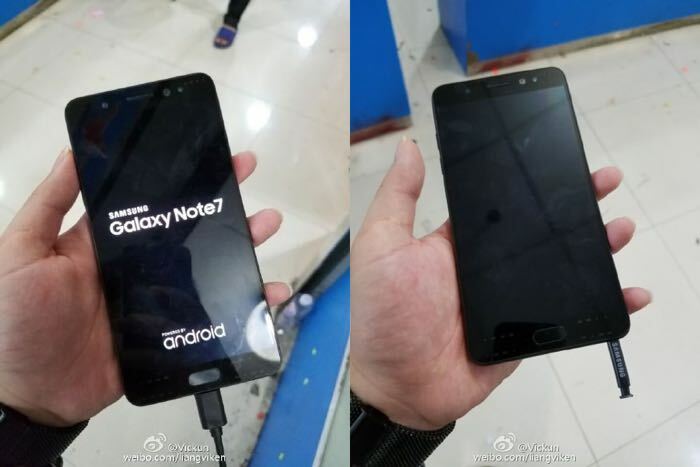 The Note 7 is expected to feature a 3600 mAh battery and will come with Android Marshmallow. The handset will have dual cameras and will come with a 5 megapixel camera on the front for Selfies and a 13 megapixel camera on the back for photos and videos. Samsung are holding a press event on the 2nd of August where they will make the new Samsung Galaxy Note 7 official. The company is expected to start selling the handset soon after its reveal. It will either go up for pre-order on the 2nd or may even go on sale.